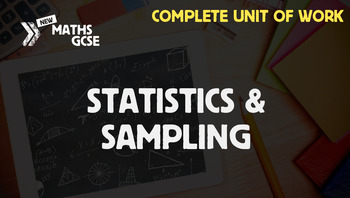 In this unit, students will learn how to conduct statistical investigations, including specifying a problem, deciding on types of data to collect and methods of data collection, understand sampling from populations and the need for samples to be representative and learn ways to ensure the investigations are not biased. Homework Activity: Further problems to give students to complete at home. Assessment: A series of questions to enable you to assess the progress of students.